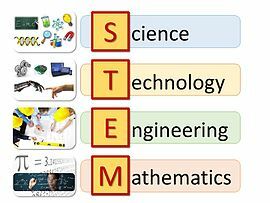 ^ a b Sanders, M.. “STEM, STEM Education, STEMmania”. The Technology Teacher 68 (4): 20-26. ^ Lund, John R.; Schenk Jr., Tom. “Developing a Conceptual and Operational Definition of Stem for Iowa Community Colleges”. SSRN: 1831973. ^ Raju, P.K. ; Sankar, Chetan S.. “Editorial”. Journal of STEM Education (3): 2. ^ “Evaluation of RepRap 3D Printer Workshops in K-12 STEM”. 122nd ASEE 122nd ASEE Conf. Proceedings. (2015). 12036. http://www.asee.org/file_server/papers/attachment/file/0005/4988/asee_K-12_2015_finalpaper.pdf 2016年4月30日閲覧。. ^ Al-Ghanim, K.A, Al-Maadeed, M.A, Al-Thani. “IMPACT OF INNOVATIVE LEARNING ENVIRONMENT BASED ON RESEARCH ACTIVITIES ON SECONDARY SCHOOL STUDENTS' ATTITUDE TOWARDS RESEARCH AND THEIR SELF-EFFICACY”. European Journal of Educational Sciences 1 (2): 300-318. http://ejes.eu/wp-content/uploads/2016/01/Vol.1.No_.2-FOR-PRINT.pdf#page=307 2016年5月14日閲覧。. ^ Glass, C.; Minnotte, K. L. (2010). “Recruiting and hiring women in STEM fields”. Journal of Diversity in Higher Education 3 (4): 218–229. doi:10.1037/a0020581. Mary Kirk (2009). Gender and Information Technology: Moving Beyond Access to Co-Create Global Partnership. IGI Global Snippet. ISBN 978-1-59904-786-7. Shirley M. Malcom, Daryl E. Chubin, Jolene K. Jesse (2004). Standing Our Ground: A Guidebook for STEM Educators in the Post-Michigan Era. American Association for the Advancement of Science. ISBN 0871686996.